I can walk to Crave Cupcakes located in Uptown Park from my office and it is a blessing and a curse. 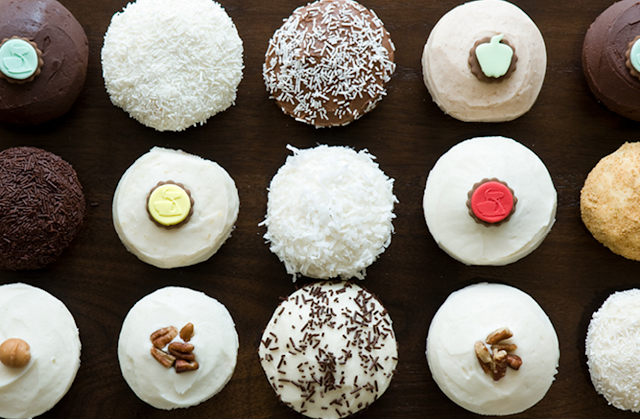 Many days are mad better by picking up a mid day cupcake. I have tried basically every flavor and I'm not mad at it. Crave makes super rich cupcakes for $3.75 and everyday the menu is different! You can check it out here: https://www.cravecupcakes.com/menu and also find locations. Sprinkles is not Houston based BUT gifted us with a cupcake ATM. My first experience with the Cupcake ATM was in Las Vegas so I was basically a pro by the time it got to Houston! Sprinkles cupcakes are not as rich and its more of a mass chain but its still really cute. If anything, I recommend going at least once! There are a ton of cupcake places in Houston but I frequent these two, maybe this year I'll feature some new ones, any favorites?